People have been drying food as a cheap, natural method of preservation for centuries, possibly even for millennia. Removing moisture delays the decaying process by making food inhospitable for microorganisms, and slowing down the natural enzymes already present. Dried food can last a long time - which was pretty handy back before fridges and resealable containers! 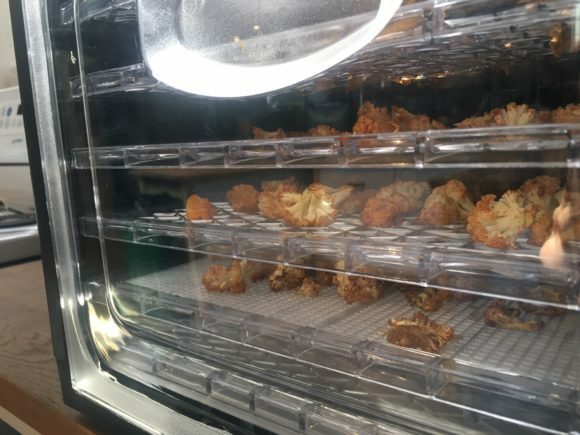 Fast-forward to the modern era and electric dehydrators, like the Chefman 6-Tray Food Dehydrator, can substitute for the sun right in your own kitchen. 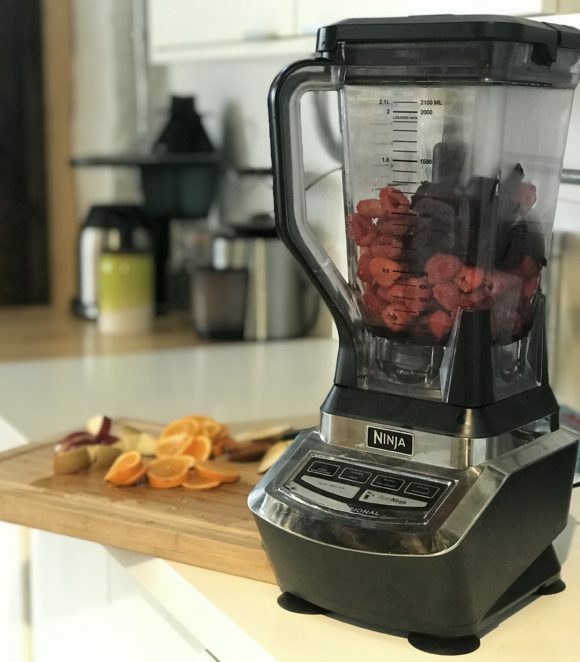 With the current interest in healthy and better-for-you snacking, (a disruptive trend we first chronicled in the 2018 Nourish Trend Report) we thought the time was right to give dehydrating a try. We pitted Eman against Tasneem in a battle for snack supremacy! Whose efforts were snack-tastic and whose were left high and dry (in a bad way)? 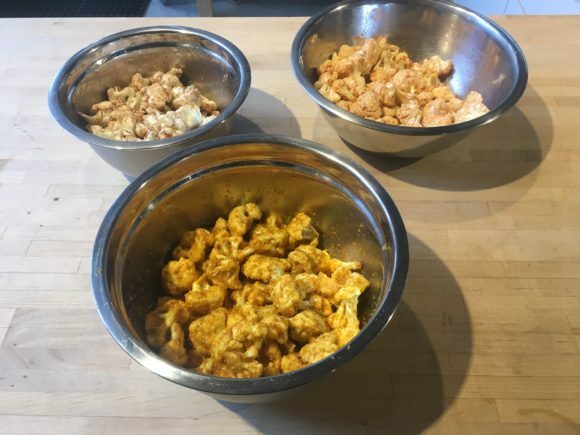 I loved the idea of the cauliflower popcorn that kept appearing on Pinterest for me. 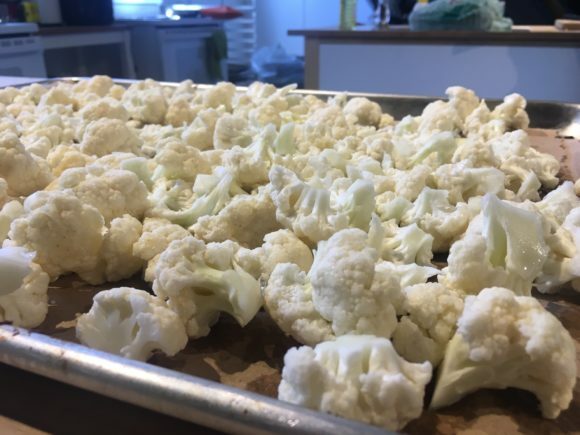 I’m a huge popcorn lover and I love cauliflower as a low-calorie, gluten-free pizza crust. I’ve dehydrated a few things before in a cheap dehydrator. Although it’s always taken a very long time and nothing has ever come out completely dry even after 14+ hours, I’ve always still loved the idea. I used 2 heads of cauliflower and marinated them in the spices overnight. My biggest concern was that it wouldn’t have any flavour. I was very happy that it was extremely flavourful! The florets shrunk to about ⅓ of their size, although after 10 hours there was still a bit of moisture. It felt more like stale popcorn in my mouth, but it’s hard to replicate the air feel in popcorn with a solid vegetable. Overall the Cheesy Cauliflower was the big winner! With the Chili & Lime, I may have gone a bit overboard with the spice. The Honey was very experimental but honey dehydrated gives a great crunch. Would you recommend the Chefman 6-Tray Food Dehydrator? Yes! The Chefman 6-Tray Food Dehydrator was great! The temperature controls and the timer were easy to work with. I would definitely say better quality than my previous experience. 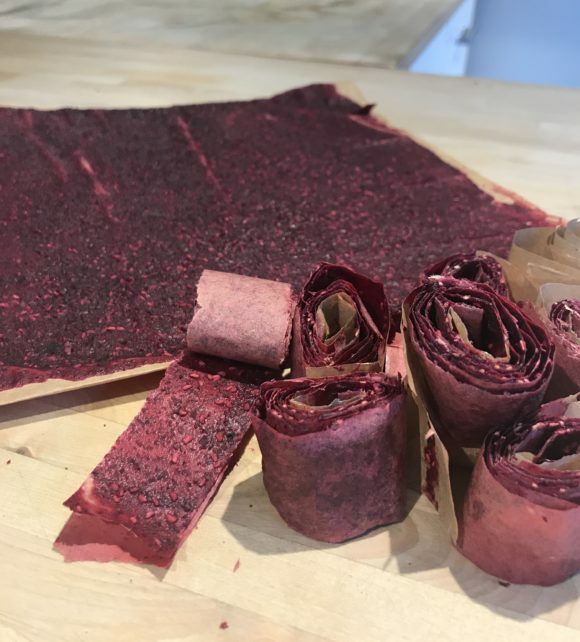 I grew up obsessively eating both fruit leather and fruit roll-ups and when the mention of a dehydrator came up at our lunch table, I heard the magic of all it could create - specifically the fruit leather! I chose this recipe because I wanted something that was vibrant in colour (from the beet), had a familiar taste but had a little kick - the tartness from the raspberries and the hits of sour from the lime. It was a lot of prep work but I loved the result. Because I spent a lot of time preparing, I had to leave my dehydrating until the next day. This requires a long time to dry (8-10 hours) so it’s best to keep that in mind when planning this out. One thing I would change is to ensure that I leave the puree a little thicker instead of going too thin. The parts that were too thick did not dehydrate completely but the ones that were too thin stuck to the paper. There was one point where a friend and I were just searching the rolls for a point that we could grab a piece and peel whole without breakage. It was really delicious! We rolled the sheets up and cut them to look just like the store-bought treats. I would change to using a waxed paper instead of a parchment - my mistake there! I did not strain the puree as the raspberry seeds gave it a good texture. All in all, it’s a fun thing to do, but be ready to spend a lot of time prepping and waiting with this recipe. 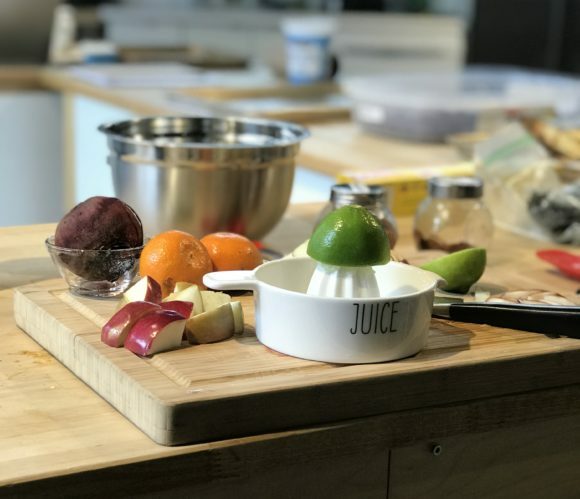 Yes, it’s a great thing to have if you’ll be doing a lot of this and want to make fruit-based, real-ingredient snacks. I would definitely do it again but plan to prep a day before and dehydrate the next day. It’s an easy way to let something run while you’re out and about since there is less risk (in my opinion) with the auto-shutoff etc. vs. leaving an actual oven on a low temp for a long time.